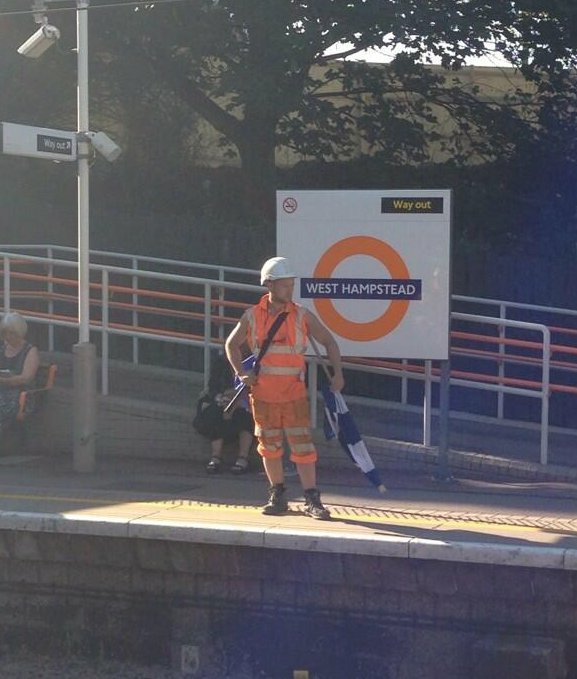 It’s been a year since the redevelopment of the Overground station started in earnest and it’s taking a while. Inevitable, as TfL chose (wisely) to keep the station open during the works, even though that also means higher cost. For those of us using the station, it’s been impossible to miss the arrival of the new footbridge. This was installed just before Christmas and is expected to open in March 2018, three months behind the original schedule. 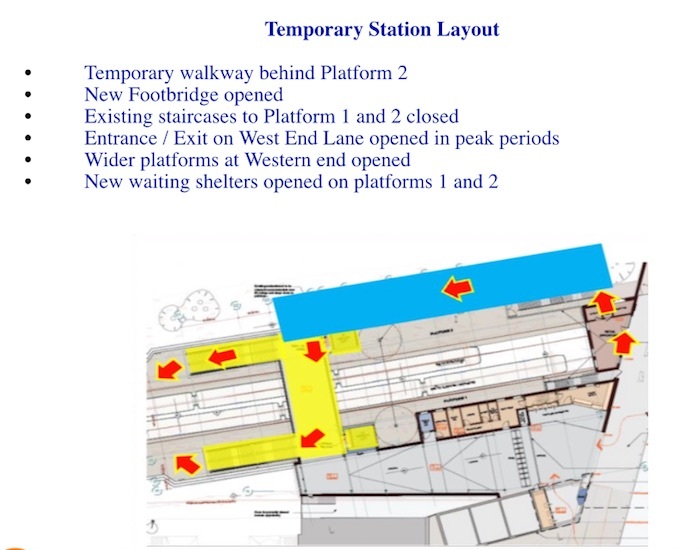 Since the station is remaining open during construction, TfL will install a temporary walkway behind platform 2, and a new temporary station layout. By Easter, we should also see the wider platforms and the new waiting shelters too. But the really exciting news is that the elevators are scheduled to be operating by September. Woo-hoo, step-free access. The new station building (adjoining West Hampstead Square) is scheduled to open in December 2018, with some landscaping to do after that. Finally, the old station will be knocked down and new retail space constructed but with the frontage set back to widen the pavement (hurrah). As long-suffering commuters in (and through) West Hampstead are aware, it’s feels ever more crowded at our stations – especially the tube station. But do the numbers back up that perception? We crunched the numbers, and we were surprised at the results. Passenger flows at West Hampstead’s three stations – the Underground, the Overground and Thameslink – are measured separately, but Oyster card data allows reasonably accurate tracking of people changing trains as well as those who enter and exit here and don’t change. 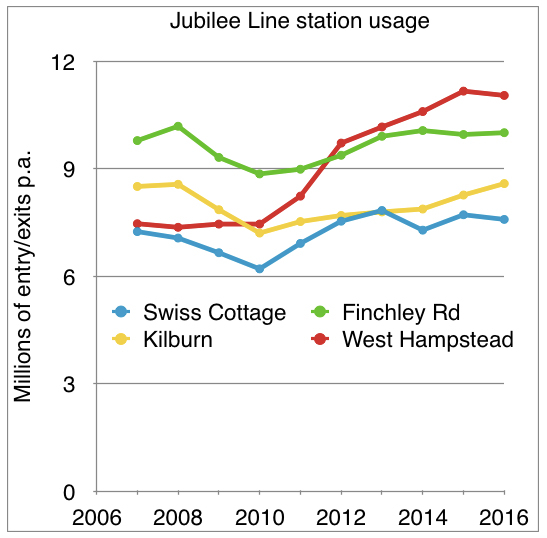 To better understand how tube passenger numbers have grown, we compared West Hampstead to neighbouring Kilburn, Finchley Road, and Swiss Cottage stations. Passenger numbers at these stations have been essentially flat over the past 10 years, but at West Hampstead they are up 50% from 7.5 million to 11 million entries/exits p.a. (a whopping 3.5 million extra passengers a year). The growth spurt began in 2010, but what has driven it? Part of the rise is due to development here, which looks set to increase with more recent development in and around the stations. Just 100 additional residents commuting to work 48 weeks a year is 48,000 additional journeys. However, the real driver has been, the upgrade of and the extra passengers on, the Thameslink and especially the Overground. 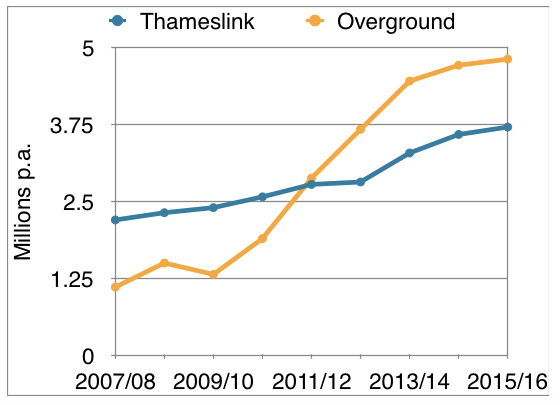 Thameslink use has risen steadily from 2.2 million to 3.7 million over the past ten years, but it is the Overground that has seen the real growth. In 2006, there were 1.9 million entry/exits in 2006, dipping to just over 1 million with disruption of construction. This year, that is expected to surpass 5 million. Add them all together and total passenger entry/exits for the three stations have risen from 10.7 million in 2007 to 19.6 million in 2016 (and should be more than 20 million by 2017). That’s a doubling in ten years. That includes an increasing number of interchanges – the data here is not perfect, but we estimate there were about 250,000 in 2007, last year it was more than 1.5 million. West Hampstead it doesn’t just feel more crowded – it really is! Woo-hoo, an extra gate at the tube station. A real improvement. What next? Another major issue we face is the lack of step-free access at the tube station. Thameslink has it, and the new Overground station will have it. The tube station is the last piece of that particular puzzle. Last week TFL announced six stations were getting funding for step free access from a £200 million pot, but depressingly, this didn’t include West Hampstead. One of those stations is Mill Hill East station, the least-used station on the Northern Line (with 1.3 Million entry/exits p.a.). Doesn’t quite compute. 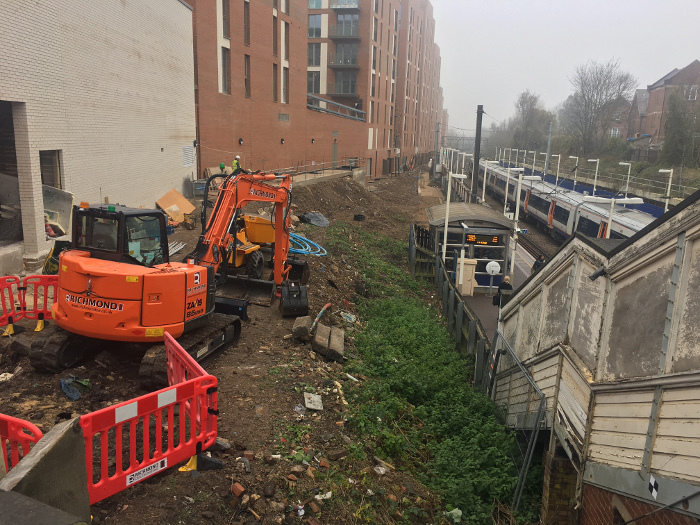 Just as West Hampstead Square is entering the home stretch to completion, building work is starting on the redevelopment of the Overground station right next door. Expect some noisy work during the days, and the occasional bit of nighttime work when they need access to the track. 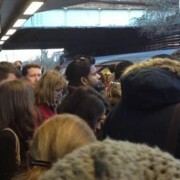 The reason for the works is that, as you are aware, the Overground has seen a dramatic rise in passenger numbers. 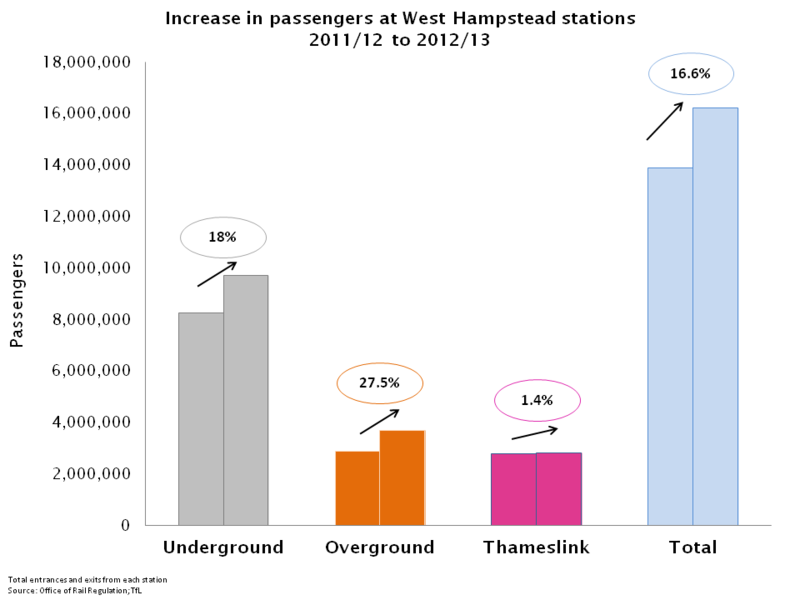 Last year nearly 5 million passengers used West Hampstead Overground, compared to 1.5 million in 2008/09. The station will be kept operational during construction, so the work is being done in phases. Buckingham Group, the contractors, started on-site works in November 2016. For the first half of this year, it will build foundations, and conduct ground and drainage works. In the second half of the year, it will install the new footbridge, which should open by the end of 2017. 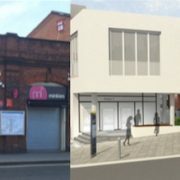 In 2018, lifts will be installed (making the station fully accessible, like the Thameslink), and the planned* opening of the the new station building in August 2018. Then the old station will be dismantled (and a new retail space built in its place) and – hallelujah – the footway will be widened. Finally landscaping will be completed by the end of 2018. Some way to go then. Buckingham is trying to keep inevitable disruption to a minimum and the line will not be closed during the work. Working hours are expected to be Monday to Friday 8am to 6pm and 8am to 1pm on Saturdays when necessary. There will be some work outside these hours. Last Sunday in the early hours, for example, the surveyor did some track inspection works and this coming Sunday morning (15th) there will be hoarding adjustment works again in the early hours, though Buckingham claims this will not be noisy. No-one’s moved into West Hampstead Square yet, so there should not be too many people affected anyway yet. When the work is all completed the new station should look like this. *already works are running a couple of months behind schedule. 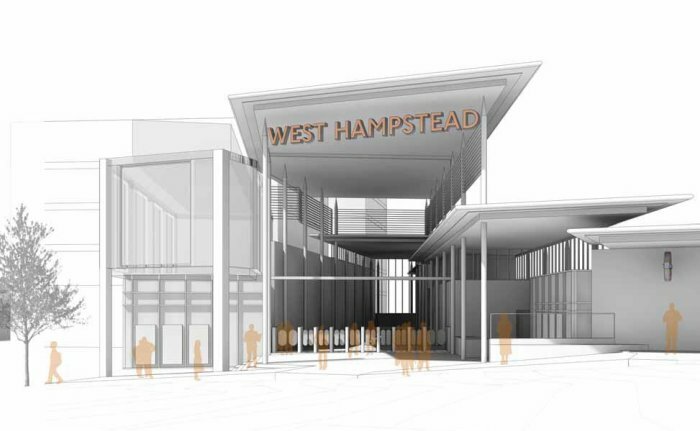 The long awaited redevelopment of West Hampstead’s Overground station is poised to start in August. And to finish two years later. Not that you need reminding if you use it, but this is to cope with the exponential growth of Overground use since the line was upgraded. 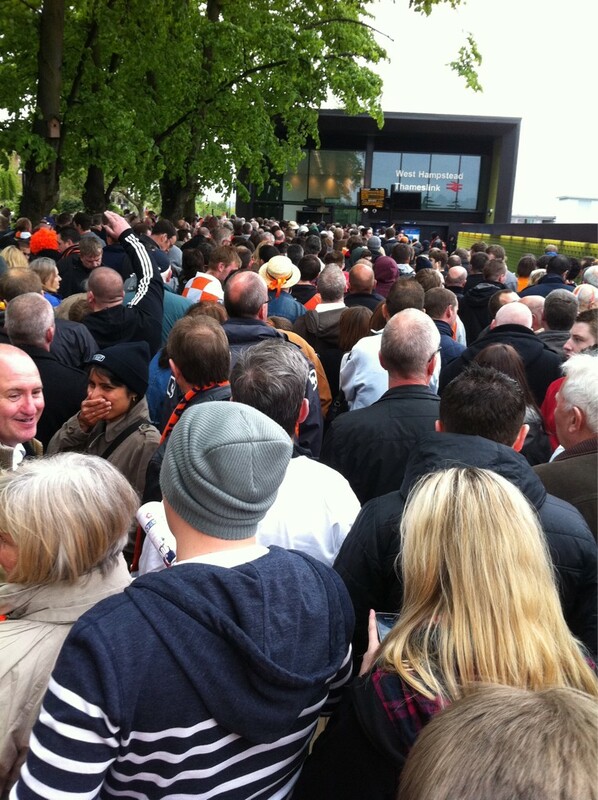 In 2009/10 there were 1.3 million entries/exits from the station. By 2014/15 this was 4.7 million, up over 250% and by 2015/16, on current growth rates, it should be more than 5 million. Interchanges to other stations rose even faster, from 138,000 in 2009/10 to 513,000. Something needed to be done. TfL will be building a totally separate new station, between the existing one and Ballymore/West Hampstead Square. The old station will become a ‘retail opportunity’. The new improved station will have accessible lifts for both platforms (paid for by a £1 million Section 106 contribution from Ballymore). There will be more ticket gates, wider platforms and steps that will be a third of the way down the existing platforms. At the entrance there will be a wider forecourt and pavements for passengers interchanging. It won’t be easy to do the work as this busy station will remain open the whole time. TfL aims to minimise disruption to residential neighbours. So work is being phased. The prep work starts this August, construction of the new footbridge begins in January next year, the new station itself will take a year to build, starting in March and the station is set to open by Easter 2018 (Sunday April 1st!). Finally, the conversion of the old station and completion of the project in the summer of 2018. 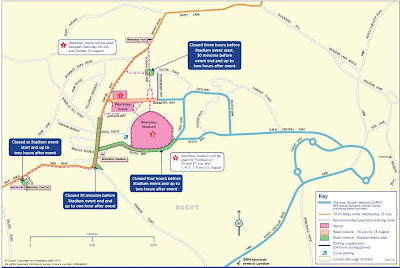 Full details, with plans and CGIs and brightly coloured arrows can be found here. 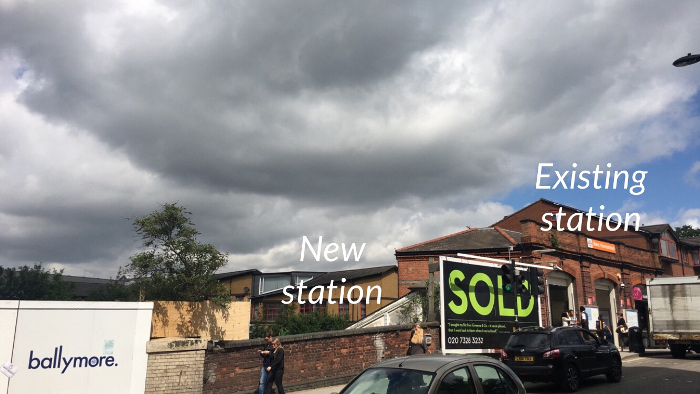 The new station will be between Ballymore and the old one. Combine improvements to the Overground station, the continued growth in Thameslink passenger numbers, plus all the new West Hampstead residents moving in over the next few years and it seems logical that, unless something is done soon, West Hampstead tube station will be swamped. TfL, are you listening? WHL also wonders what Camden Council is doing to ensure coherence in the streetscape and landscape between all these developments. Many trees were destroyed to build them, but what is being done to replace them? 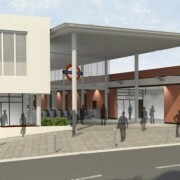 The planning application for the redevelopment of the Overground station has been submitted. The Overground network has seen an enormous increase in passenger numbers over recent years. 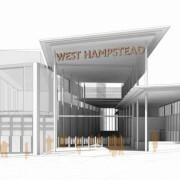 West Hampstead’s position as a major interchange point means that 13 million people pass through each year, of whom 5.6 million used the Overground station (TfL, 2012 estimates), the new station has been designed to cope with even more passengers than pass through today. 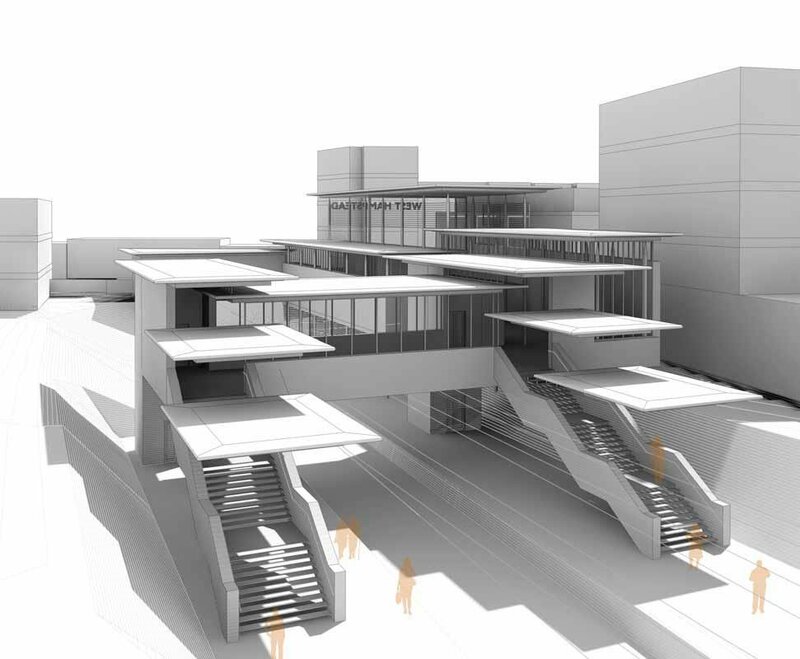 The plan is for a modern station frontage just to the south of the existing station building that will lead to a wide walkway running broadly perpendicular to West End Lane that connects to stairs and lifts down to the platforms. The existing staircases will be retained but will be for emergency access only but the existing station building will be removed and turned into a retail unit. 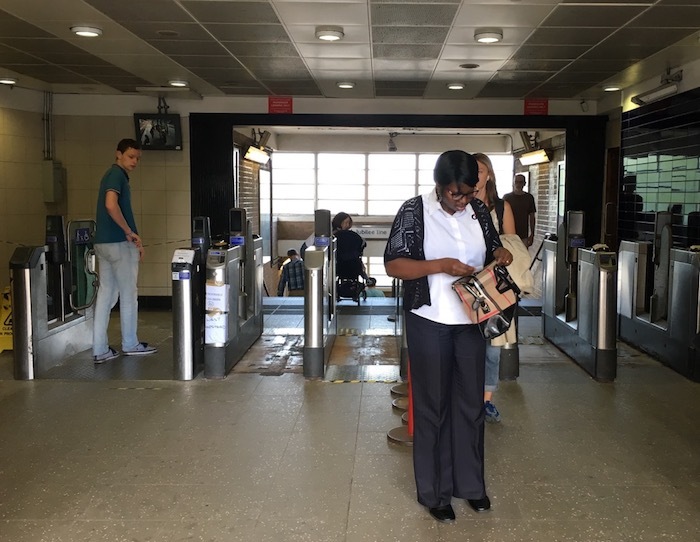 The number of ticket barriers will rise from the three standard and one oversized gates today, to eight regular and two oversized gates, which should ease congestion at rush hour. In addition, the footbridge over the platforms is believed to be the widest on the Overground network, with enough room for multiple wheelchairs or pushchairs as well as pedestrians. There will also be a lift down to each platform. Tree campaigners will be disappointed to read that the tree that they successfully lobbied to be given a tree preservation order in early 2014, will have to be removed if the station development goes ahead. Comments are being accepted up until January 14th. 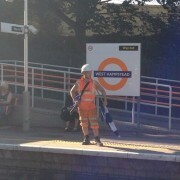 After a short break over the summer, the works are resuming on the Overground station and platforms. Here’s the latest communication from TfL so you can be prepared for the noise and service disruption to follow. As part of the work to rebuild West Hampstead Overground station, the platforms need to be extended and widened and, unfortunately, this means it’s going to get noisy – starting this Sunday. There will be some pile driving work during this time and, as anyone who’s lived through pile driving will tell you, that can be hard to live with. TfL tell me that the loudest pile driving will actually be in the initial phases as they need to drive the piles on which the rig for the rest of the pile driving will sit. Still with me? The good news, such as it is, is therefore that when you think that it can’t get any louder, you’ll actually be right. TfL is naturally wary of setting out a very strict timetable of works as the situation can change very quickly on a project of this nature. Note that although it doesn’t expect to be carrying out noisy works in the middle of the night, it is not categorically ruling it out either. 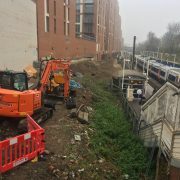 For those of you interested in the specifics of the construction, Tfl is installing a retaining wall in the slopes at the back of the platforms, and doing some excavation work using heavy machinery to build foundations for the new extensions. Blockwork will be built up to create the new sections of platform and new surfacing will be laid. Additional CCTV cameras, speakers and lighting will be installed on the new platforms. Obviously, the Overground line will be closed through West Hampstead on Sundays when the work is carrying out, so don’t expect to be catching the train to Richmond on a Sunday anytime soon although you can catch the new special Sunday service from Stratford to Willesden Junction via South Hampstead or Kilburn High Road station and change there. The new longer trains, which are necessitating this work, will be introduced by the end of 2015. Earplugs are available from most chemists. No doubt boosted to some extent by the Olympics and by the broad surge in Overground use, West Hampstead stations saw a 17% growth in passengers last year. The tube station handled 9.7 million passengers (defined as entrances + exits); the Overground station 3.7 million and Thameslink 2.8 million. Passenger numbers were up from the previous year at all three stations, although Thameslink grew only fractionally at just 1.4% compared to a whopping 27.5 % increase at the Overground. All these numbers – especially for the Thameslink station – shouldn’t be taken as pinpoint accurate. A 50-page report explains the complex methodology used to come up with these estimates. Athough the two overground stations are assigned to a “station group”, the numbers can’t accurately give an idea of how many people change between the stations. As West Hampstead grows, with car free developments at West Hampstead Square, Iverson Road, and eventually 156 West End Lane and the O2 car park, there must be questions about how long the tube station can continue without major development. The Overground station will be rebuilt next year, which should increase capacity, but surely eventually TfL will have to look at turning the footbridge between Blackburn Road and Broadhurst Gardens into a separate access point for the tube station. 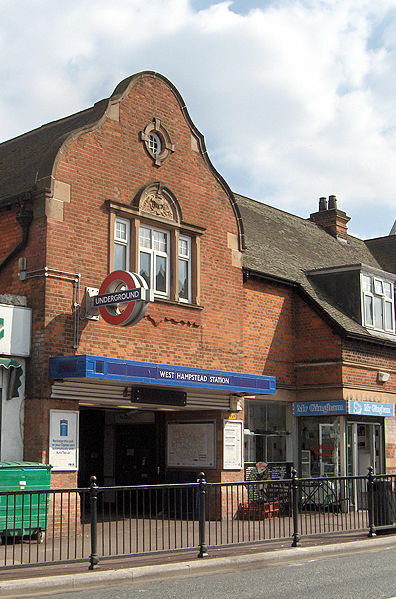 Overall, West Hampstead overground was London’s 58th busiest surface rail station – up from 73rd in 2011/12. West Hampstead Thameslink actually dropped a couple of places to 79th, while West Hampstead tube station is London’s 74th busiest. To put this in some context, there are 62 tube stations in zone 1. 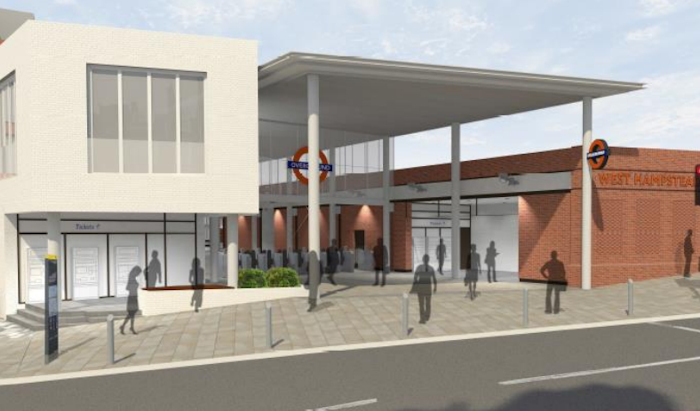 The first pictures have emerged of what West Hampstead Overground station is going to look like after a complete remodel. 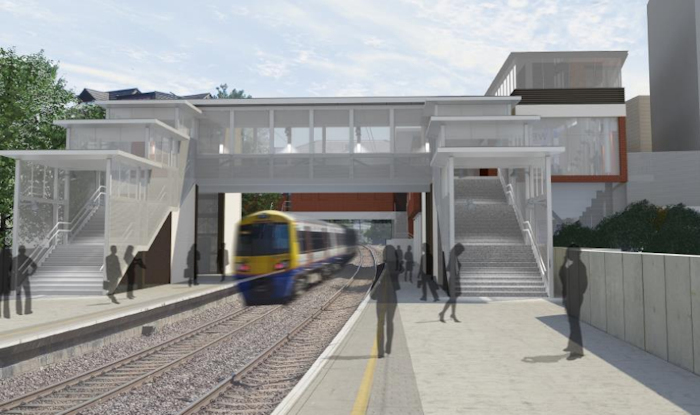 The £7m scheme is still in its early stages but it looks like it will resemble most other modern stations with an abundance of glass and steel. The Overground station, which opened in 1888, handles 3 million passengers a year, so more capacity is needed as well as longer platforms to accommodate the new 5-carriage trains that will start to run from 2015. We reported last year that TfL was planning to rebuild the station, partly thanks to almost £1 million from Ballymore as part of its contribtuions to the community for West Hampstead Square (the Section 106 money). Architects are now finalising initial designs in advance of the planning application, which will be submitted in the spring. Before that, TfL will consult with passengers and the community to comment on the proposal. Looking east – the footbridge is further down the platform than it is today. The existing station will be partially removed so the pavement can be widened. The new station will be between the existing station and West Hampstead Square, and there will be step-free access from street-level to platform via lifts. The current platforms are too narrow for lift shafts so they will need to be widened by at least 3 metres (this will of course ease the crowding on the platform too). 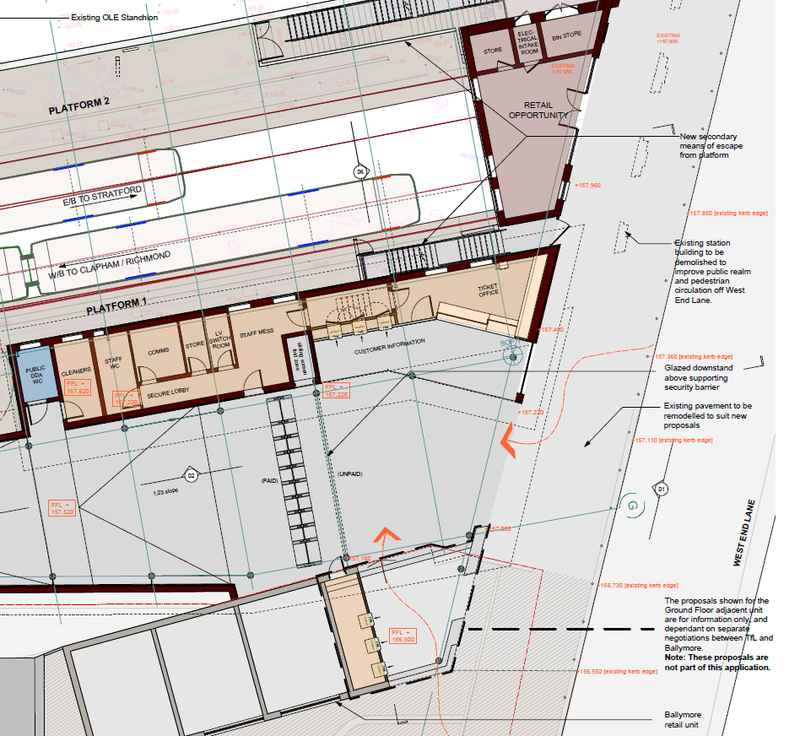 Work to widen and extend platforms will commence in late spring, and work on the new station building should follow in early 2015 and take approximately one year – depending on planning permission of course. The images, courtesy of TfL are still conceptual and are subject to change prior to the submission of a planning application. It’s still hard from these to understand quite how it fits into the streetscape, especially with West Hampstead Square yet to be built. One of those trees has just had a Tree Preservation Order slapped on it by Camden, but expect TfL (and Network Rail who own the land) to get its way – even if it has to deal with petitions and masked protestors. 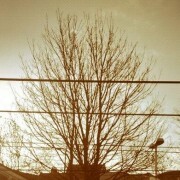 The campaign to save the Ballymore trees may have failed in its immediate aim. However, Camden has agreed – after much badgering – to slap a Tree Preservation Order (a TPO) on the largest sycamore that falls on Network Rail’s land. Much good it will do. The TPO means the tree can’t be felled without the written consent of the planning authority, but as part of the plans to redevelop the Overground station it’s highly likely such consent will be granted. 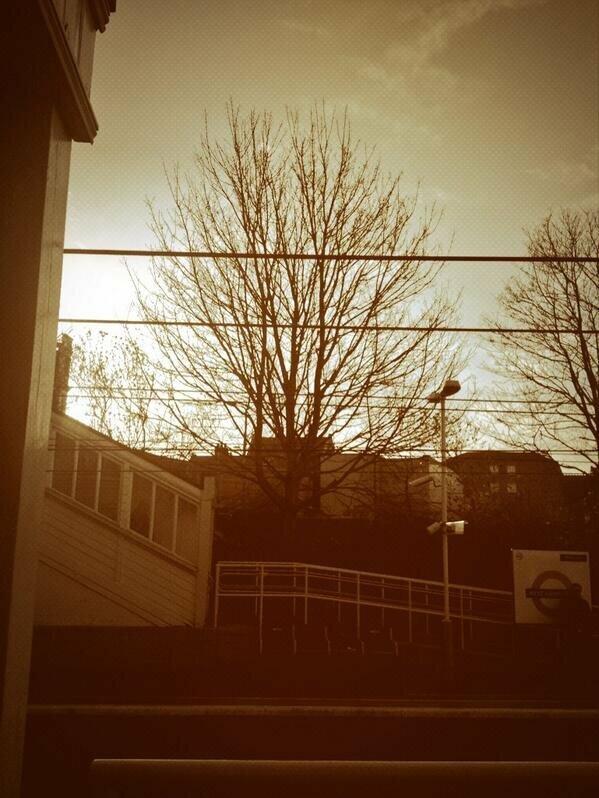 Still, Network Rail and Camden can expect to fight a battle to remove this sylvan symbol of the resistance! At the end of last month, Camden held its annual public meeting on transport issues in the north of the borough for the first time. A good proportion of the questions on the night related to the local area. WHAT (West Hampstead Amenities & Transport) asked for an update on the platform and lifts upgrades at West Hampstead Overground station. Some context is needed here. TfL have recognised that the Overground station needs an overhaul. It handles more than 3 million passengers a year, making it one of the busier train stations in the country. According to WHAT, a new footbridge and station building, with lifts and wide access, will be constructed about halfway down the existing platforms. This will allow the station building to continue to function until the new one is ready. The first stage will be to lengthen and widen the platforms to allow use of 5-car trains on the Overground (which are due early 2015). Building work on the station is expected to take place during 2014, with completion hoped for in early 2015. WHAT has lobbied for this for the last two years and wants to ensure that the provision of lifts is co-ordinated with the Ballymore housing development next door. The money that TfL allocated for installing the lifts was on a use-it-or-lose-it basis, but given the length of the Ballymore build, it will have to be applied for again. The consensus seems to be that there won’t be a problem in having it awarded again. Emily Turner asked whether TfL had considered expanding Cycle Hire to West Hampstead Thameslink? The existing plan is to expand the Barclays “Boris” Bike scheme around Westminster and the City of London where demand is greatest. TfL has no plans to expand further north-west. In 2012, the scheme extended to Camden Town, with the northernmost docking station on Castlehaven Road towards Chalk Farm. A further extension to West Hampstead would require a number of docking stations throughout the area to the north-west of Swiss Cottage, which, say TfL may presentsome topographical and operational difficulties. TfL met with Camden officers in March 2013 to discuss Camden’s aspirations for Cycle Hire and these will be considered within wider discussions for the building programme in the King’s Cross area. Personally, I think our part of NW London should look at one of the alternative bike hire schemes that are popping up elsewhere in the country. These require less infrastructure than Boris Bikes and would benefit people moving around the area rather than just commuting to and from work, which would lead to limited numbers of bikes being available during the day. I’m looking into this in more detail. WHAT asked if Camden could outline how it plans to deal with disruptions, such as those occurring on West End Lane due to burst water mains? The council explained the impact the bridges and train lines have on the options for road diversions around West Hampstead, which can lead to bus passengers being a long way off course. It also said that planning for unexpected disruptions is difficult and usually consists of diversions and these will be announced by the driver. On occasion a disruption will sometimes lead to a longer term response being required, which may include the use of information at bus stops. 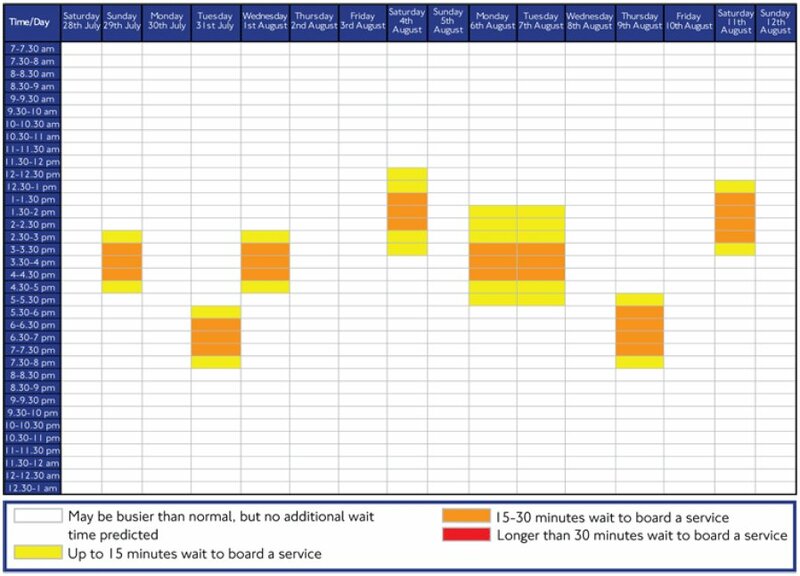 WHAT (again) asked TfL for an update on bus reliability and on the use of information during bus journeys, and live information at key locations to keep passengers informed of changes and delays to buses. TFL has a large amount of bus data available, which is used to measure performance by the bus operators and enforce service level agreements in contracts. Camden said it would consider paying for real-time bus information at key locations in West Hampstead through Section 106 money (the money paid by developers to offset the impact of new developments). WHAT asked TFL to provide an update on Jubilee Line closures and the impact these have on the West Hampstead community, particularly during the Christmas period. It also pointed out that more explanation about the nature of the works would be appreciated, rather than “engineering works” being a catch-all term. TFL confirmed that essential maintenance to reline a section of the tunnel near Bond Street started on June 16th and will require three remaining closures and two late Sunday starts in 2013, with some intermittent closures also required in 2014 and possibly 2015.A full list of all planned closures is available on the TfL website. Around Christmas, the Jubilee Line will be closed from Waterloo to Finchley Road from Thursday 26th December to Monday 30th Dec.
WHAT asked for an update on the proposal to improve the traffic lights outside West Hampstead tube station. The installation of secondary signals at the West End Lane / Broadhurst Gardens junction is scheduled for this financial year. June Perrin: Could Camden review the traffic light sequence at the junction of Kilburn High Road and Quex Road? An scheme is being developed in this area, which could include the phasing of the signals. Mel Wright asked whether there are plans to improve pedestrian crossing times along Kilburn High Road, perhaps using the live countdown technology. Maryam Alaghband: Could TFL could comment on the traffic light system at Swiss Cottage gyratory where traffic going south onto Park Road collides with traffic coming from Avenue Rd and going to Finchley Rd? David Harris: Can the traffic lights from Finchley Road and Fitzjohns Avenue be timed so that both lights do not allow the traffic to move together in such a way that the traffic becomes a racing track where the motorists cross in front of one another in order to reach the right lane? David Douglas: Can TFL plant more trees at the gyratory to combat air pollution; and can air quality information at Swiss Cottage be publicised? The ground conditions along Finchley Road have proved to be very challenging for planting new trees. TfL proactively looks for suitable places to plant new trees, but on this occasion, the ground conditions meant that this area was not suited, and the trees would not have prospered. An overview of pollution levels in Camden is published on the London Air Quality Network website and there is specific data for the Swiss Cottage monitoring station. Navigating between the three West Hampstead stations is already challenging, with narrow pavements, crowds of people and at least one road to cross whichever change you’re making. Now imagine that you’re not so good at walking – or can’t walk at all. That minor hassle becomes a major hassle. Or would be if it was even worth attempting given the lack of step-free access to the platform. The Thameslink station does now have proper step-free access (though god help you if there’s one of those pesky short-notice platform changes). The Overground station doesn’t have a lift at the moment, but will get one, perhaps in 2014, having successfully been awarded £1m by the Department for Transport. Which leaves us with the Jubilee Line station – arguably the most useful of all for day-to-day travel in London. Do you agree that West Hampstead station, which sits on both the Jubilee and London Overground lines, is a good candidate for being made step free? Regrettably there is no funding to undertake works at the Tube station. Aside from the funding question, the Underground station would not be an easy location at which to install step-free facilities. This is because the small ticket hall sits on a road bridge above the tracks carrying the Jubilee, Metropolitan and Chiltern lines. The station is also surrounded by various separately owned properties and there is no space for a lift. Customers in the West Hampstead area who require a step-free route to central London or need to access the Tube network can use Thameslink services to a number of stations in zone 1 including King’s Cross St Pancras, Farringdon, Blackfriars and London Bridge, all of which are now fully accessible. Regrettably they don’t have the funding to undertake the works, well regrettably I don’t have the ability to undertake walking. I can’t use Boris bikes nor can I use the buses or navigate most pavements independently. It’s easy for politicians and decision makers to distance themselves from the implications of access issues because they don’t really impact their lives. It is a valid point that there are engineering challenges with the Jubilee Line station and these would push the costs of installing a lift even higher. But it is beyond the wit of man to find some innovative solution to this challenge? I fear that step-free access across the Underground network will never become a reality but, at a major interchange like West Hampstead, dismissing the idea so readily feels like a missed opportunity. I’ve had my whinge about TfL’s model not showing West Hampstead as a hotspot. Now for some more practical advice about travel during the Games. 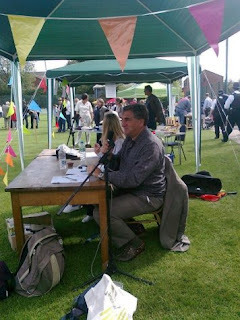 If you are going to an event, I’m sure you’ve already worked out your strategy. 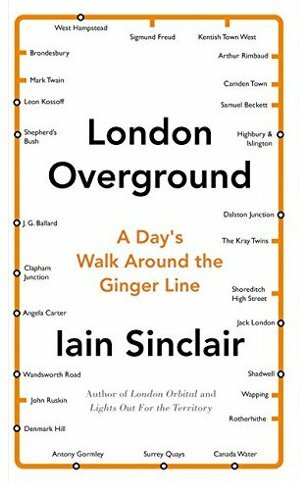 I’d recommend the Overground to the Olympic Park, but the Javelin back from Stratford to Kings Cross and then tube or Thameslink home. 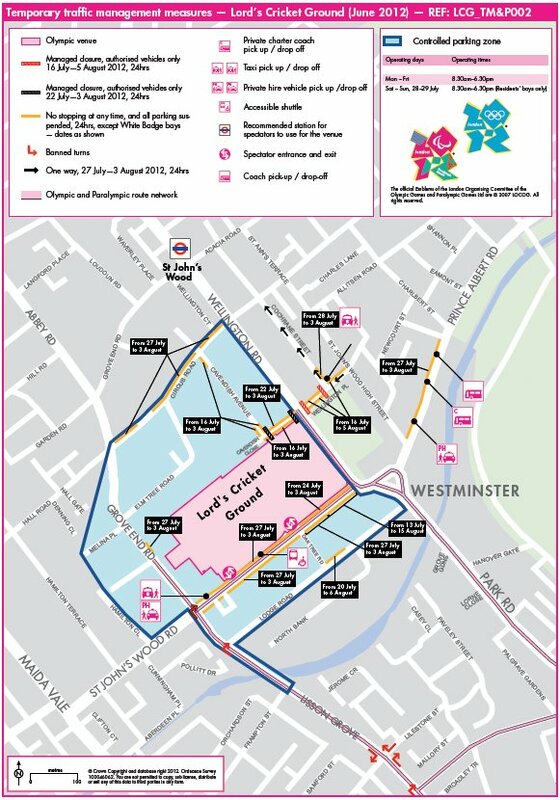 It’s also less than a 3hr walk from West Hampstead to the stadium if you feel like the exercise. The Jubilee Line will be exceptionally busy pretty much all the time and is, frankly, going to be best avoided if possible. It’s estimated that 80 percent of all spectators attending Greater London venues will travel by rail, including the Tube. 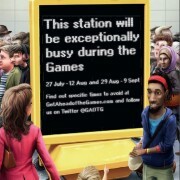 Other stations on the Jubilee Line will also be busier than usual at certain times. If possible, try to complete your travel either before 7.30am or after 9.30am or before 4pm or after 7.30pm on weekdays. 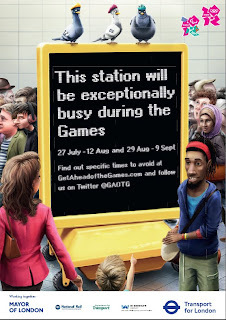 During the Games, you might find it quicker to travel using a different route to normal or using an alternative station. 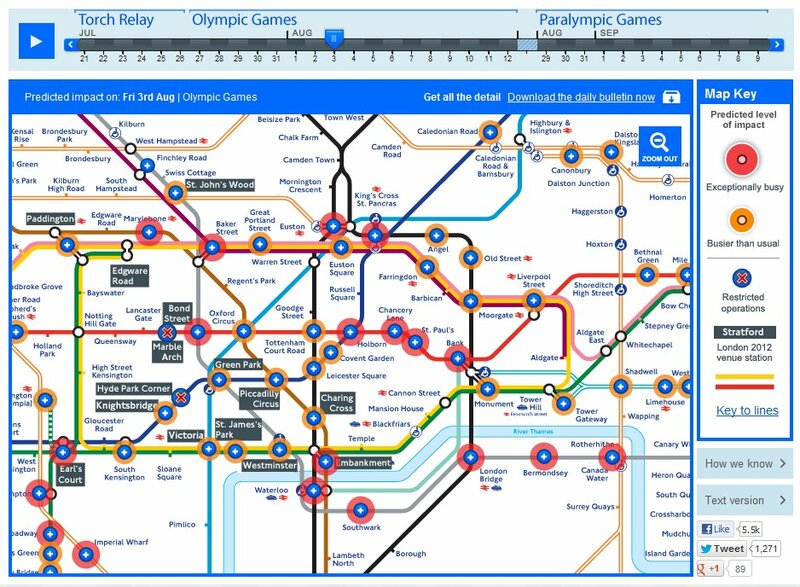 As always, GAOTG directs you to its funky hotspot map, with a slider so you can see where the busiest stations will be on each day of the Olympic and Paralympic Games. Friday August 3rd is going to be busy! Services will generally start between 5-5.30am, but on Sundays they will start 30-45 minutes earlier than usual, at around 6.30am. This will vary by line and station. The Tube and DLR will run around 60 minutes later than normal on all days. Last trains from central London will leave around 1.30am. There’ll be extra evening services on the Jubilee, Central and District lines and more trains running in the late evening from Friday 3 August, when events start at the Olympic Stadium. On certain days and at certain times of day during the Games, some stations will operate differently. Measures may include entry or exit only at some stations, one-way movement within the station or station closures at stations where capacity is not high enough to deal with the demand. These changes will be signed within the affected stations in advance. On the Bakerloo, expect a lot more people especially when Wembley is in use. Baker Street station will inevitably be very busy as a major interchange. The Met Line will also be exceptionally busy when Wembley is in use, and Finchley Road is another hotspot station. Despite being a direct route to the Olympic Park, our stretch of the Overground has not been singled out as being a major bottleneck, although it will – like everywhere else – be busier than normal. Highbury & Islington in particular will be a busy interchange station. Buses will run more frequently on many routes to cater for the additional passengers. However, some bus services will need to be temporarily diverted and some stops moved or suspended as a result of the road changes that will be in place. Thankfully, our local bus routes are barely affected. The good ol’ C11 doesn’t even get a mention in TfL’s 86-page bus route report. The archery at Lords shouldn’t affect the 139, although it is likely to be slow going down Abbey Road/Lisson Grove, as it is when there’s a test match on. The 139 and 189 will also be allowed to turn right off Oxford Street onto Portman Square even though that little stretch is a Games Vehicles only route. 139: On Sunday 5th and Sunday 12th August, and Sunday 9th September, the 139 will terminate at Haymarket because of the marathons. This will be in place until Trafalgar Square reopens. 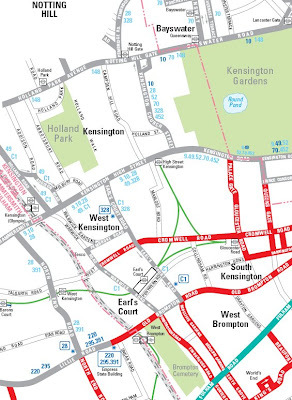 328: During the men’s and women’s road race (July 28th and 29th), the southbound 328 will terminate at the top of Earl’s Court Road, just off Kensington High Street. This will be in effect all day apparently. Initially, there had been plans to increase the frequency of the 328 generally to service Earls Court, but this is now believed to be unnecessary. 113: At Marble Arch, the last stop and stand will be on Orchard Street as the Cumberland Gate bus stand will not be available from 20 July-15 August inclusive. National Rail services from London will operate later than normal. Last trains to locations within two to three hours of London will typically leave between midnight and 01:00. National Rail will also run longer and/or more frequent trains to and from most venue stations when events are taking place. Remember that Kings Cross St Pancras will be exceptionally busy as that’s where the Javelin trains to Stratford run to/from, and this will be one of the major routes people take to the Olympic Park. Expect lengthy queues. Trains already run throughout the night from Sunday to Friday on the Thameslink route so we have lengthened 34 of these per week out of London and added one new service on a Saturday night to get people home. At the weekend we have also doubled in length the majority of our services that run between Wimbledon/Sutton and St Albans/Luton, as well as our Sunday services between East Croydon and Bedford. We have also extended four Sunday services beyond London to Bedford and Brighton. 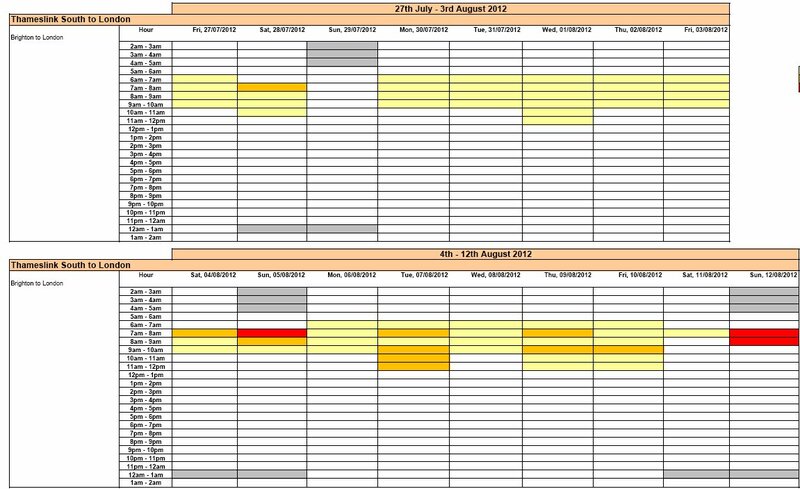 We have ramped up train fleet maintenance at our depots to provide the extra services and we have cancelled all driver-training during the 2012 Games. We have special plans for the busiest stations we manage where there may be queueing systems. We’ll have over 1,000 additional shifts for customer facing roles. We have also increased our cleaning contract by 175 hours a day. Oyster users will be charged only the minimum fare if they can’t touch out because of altered station arrangements. Below are the estimated busy/very busy/extremely busy predictions for Thameslink trains in and out of London (click for full size). The Olympic Route Network doesn’t really affect us very much. Obviously any attempt to drive into central London means running into issues, but in our bit of NW London, the only issues are around Lords and Wembley, and in neither case is there anything too drastic to worry about. The ORN comes into place on Wednesday and runs right through to August 14th. Normal traffic can use the vast majority of the ORN, although there will be temporary changes such as suspended turns, stopping and loading restrictions, and traffic signal timing alterations. Stopping or parking on the ORN will result in a £130 penalty charge and your vehicle may be towed away. These two maps and a reasonably good video give you some idea of what to expect. Cycling around London may well be one of the best ways of getting around. 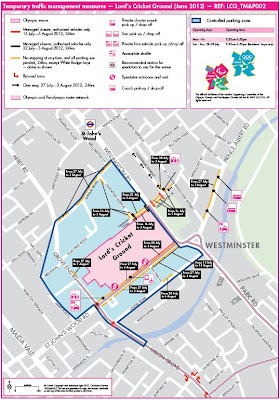 Just one thing to note though – many of the central London Boris Bike hire stands will be suspended during the Games. 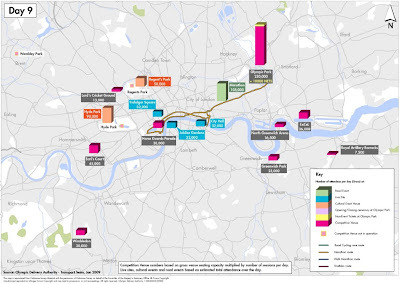 During each of the 16 days of the 2012 Games, London will be transport an average of 500,000 spectators and around 55,000 members of the Games Family each day, including athletes and team officials, technical officials, press and broadcasting teams, Olympic and Paralympic families, and marketing partners. Around 800,000 tickets are available on the busiest days (Friday 3 August for the transport network, although overall more tickets are available on Saturday 4 August) – 510,000 of which will be for London-­based venues. 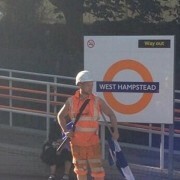 The West Hampstead interchange is always congested during rush hour, or when there are big matches at Wembley. West Hampstead is a key interchange on the Jubilee and Overground and will be busier than usual, in particular on days when Wembley Stadium will be in use. However it is not considered to be busy enough to cause the type of queueing from 15 mins upward on a regular basis during the day on several days to be termed a hotspot station. Councillors, the Safer Neighbourhoods Team, and many others including me have queried TfL’s assessment. 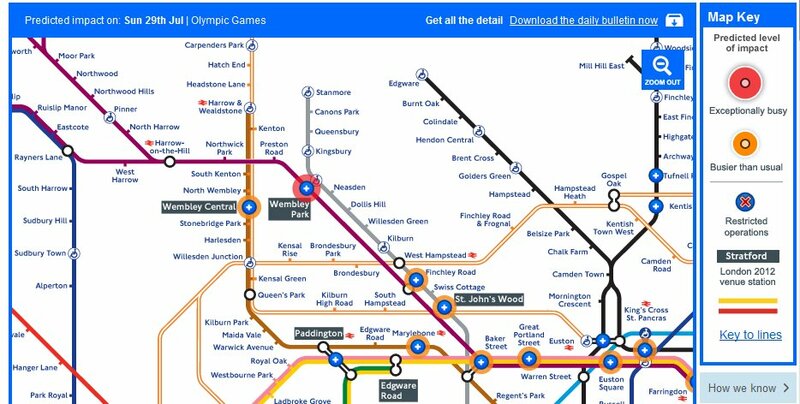 The response has been consistent: yes, West Hampstead will be busier than normal during the Games but no, it won’t be so busy that it qualifies for “hotspot” status. Finchley Road station is very much a hotspot station, as people come in fron the outer reaches of north-west London and the suburbs and change onto the Jubilee Line or travel to and from Wembley Stadium. Overcrowding on the platforms here seems inevitable, perhaps more than in the ticket hall. TfL recognises that this means some people (surely lots of locals) will walk up to West Hampstead to board the Jubilee there instead, where there will be a better chance of getting on a train. 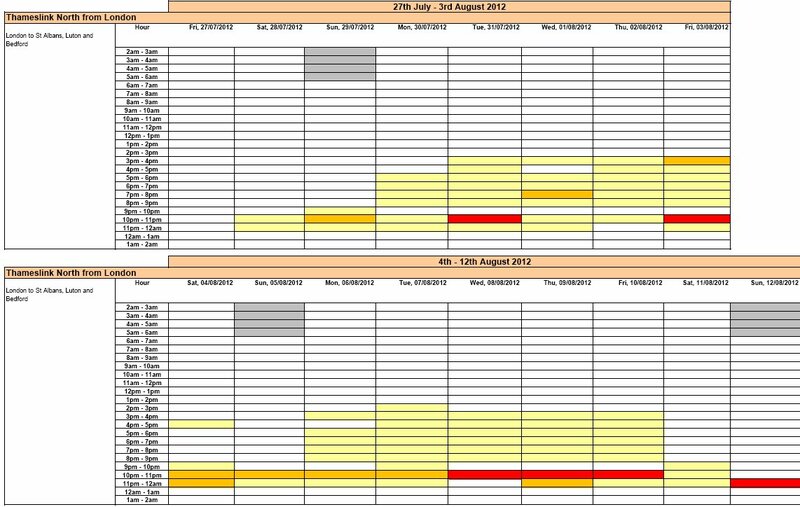 The full assessment of Finchley Road’s peak times is printed below. TfL has modelled the impact of the Games on the transport network based on passenger numbers at this time of year in a normal year, and on the postcodes of ticket holders. This allows it to work out what routes people will take to which venues. 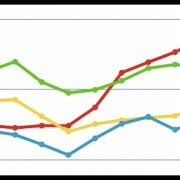 Download the relevant presentation (which also shows predicted numbers of spectators per venue on peak days) here. So far, so smart. However, it fails to take into account two factors: people don’t always behave rationally (either deliberately or not), and the West Hampstead interchange is a narrow congested area that does not allow the smooth passage between stations that one finds at Kings Cross or even London Bridge. The result, I fear, is that at peak times, West Hampstead will become clogged with people changing trains, which in turn holds up traffic and generally impedes people from moving around. …West Hampstead does not appear as a ‘hotspot’ because the additional travellers predicted to use the station during the Games is within the available capacity for both the station and the lines serving it. For example, on one of the busiest days of the Games, Friday 3 August, approximately 16 per cent more passengers are predicted to use West Hampstead station. Based on this prediction, London Underground expects to be able to manage with minimal customer impact. Further, if regular travellers do change their travel habits during the Games, the situation will be further improved. However, it is important to remember that these are only our best predictions of where and when travel hotspots may arise. The travel situation in London will be different each day and may change throughout the day, as crowds travel to and from the different sporting and cultural events. 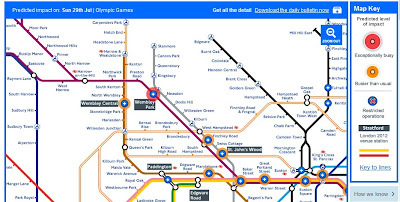 Therefore, my advice to customers using West Hampstead station, and indeed any other part of the transport network, is to refer to www.GetAheadoftheGames.com to plan their Games-time journeys and to check before they travel in order to avoid disruption to their journey. 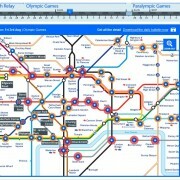 TfL will also provide real-time information to assist Londoners and visitors with their travel at stations. So, it seems that some disruption is inevitable, and there’s no doubt that West Hampstead will not suffer in the way that most zone 1 stations will. BBC London’s travel correspondent Tom Edwards told me a while ago via Twitter that West Hampstead is not alone among areas that feel TfL has not built the local nuances of a given area into its model. I suspect we’ll find out within the first few days of the Games whether it’s made any mistakes – lets hope that if it has, there is also the flexibility built into its plans to make any necessary adjustments. In the meantime, we will have to hope TfL’s prognosis is correct and that we don’t see repeats of the scenes we had when Luton Town played at Wembley recently and there was a dangerous crush around the Thameslink station that required police intervention. Thankfully, while TfL remain unconvinced about the potential for overcrowding at West Hampstead, First Capital Connect seem to be taking more precautions. 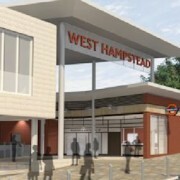 According to Cllr Risso-Gill, the rail operator has included West Hampstead Thameslink station in its Enhancement Plan. This means the station will be manned 24 hours a day and tensile barriers may be installed to manage any crowding. Cllr Risso-Gill has also asked the council for additional signage on Iverson Road and West End Lane to give clear directions between the three stations and four entrances, particularly from the new Thameslink exit to the Jubilee Underground and the Overground stations. Sounds very sensible. Lets hope it happens in time. Thanks Ed! Ed sends out an e-mail update every 2–3 months or so on these issues, so any local residents, users or traders on or near the Overground Line should contact him on moc.l1556006142iamg@1556006142mahdr1556006142of.de1556006142. 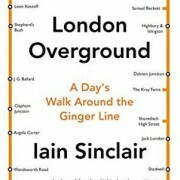 He tends to concentrate on the six stations between Kensal Rise and Hampstead Heath.